With Readly you can read History of War Book of the American Civil War and thousands of other magazines on your tablet and smartphone. Get access to all with just one subscription. New releases and back issues – all included. More than 150 years after the end of the American Civil War, the story of America’s bloodiest conflict remains a potent one – a defining period in the formation of the United States as we know it today. 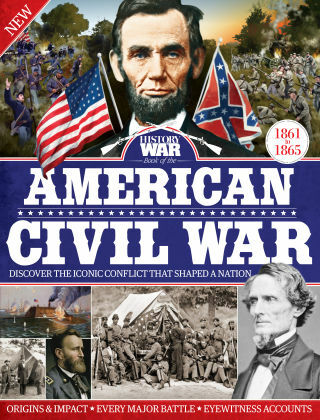 In this bookazine we explore the American Civil War through investigating its key events, significant battles and its most influential figures. Through expert analysis, a wealth of authentic artefacts, spectacular photography, and eyewitness accounts, we’ll deliver a fascinating insight into a conflict that continues to profoundly impact the world we live in.